Women and Girls represent 50% of the world’s population, therefore to make a more gender equal world it's important for women and girls to occupy leadership positions and positions of power to serve as role models. We envision a more gender equal world by collectively shifting the status quo by investing in girls who have the potential to become future leaders and occupy positions of power. These girl leaders will raise their voices against all forms of gender inequality, injustice, violence and advocate for equal participation of women in all social, economical and political platforms. They will be empowered both individually and as a collective to create spaces and opportunities for other women and girls to lead. 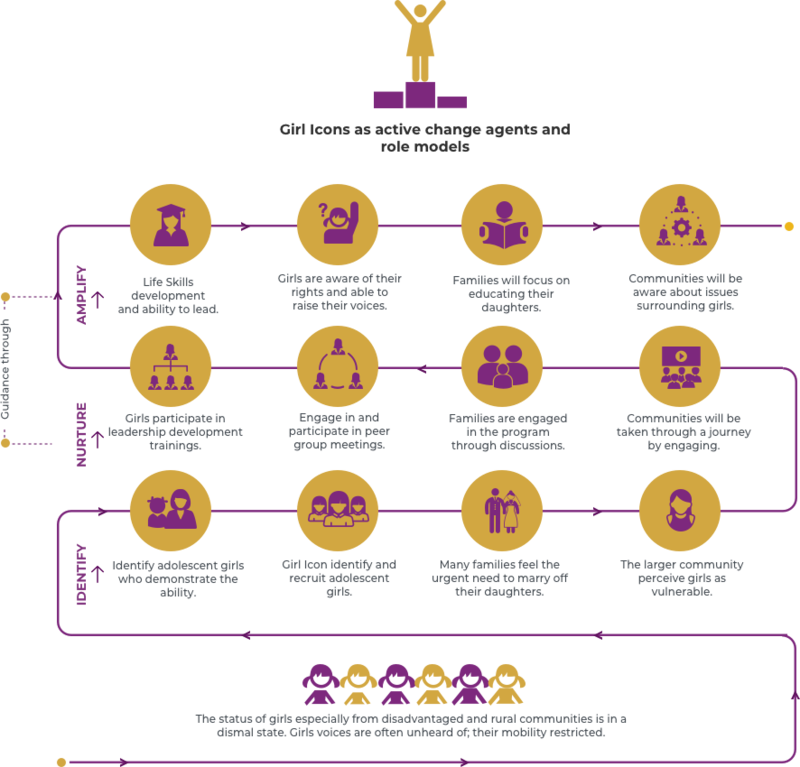 The Girl Icon program journey starts from the selection process of identifying girls who have demonstrated the willingness and ability to challenge social barriers that restrict girls’ potential and voices. These girls are selected through written examination, telephonic interview, screening and group activities. The two-year leadership journey constitutes 20 days of residential training. Besides, each Girl Icon forms a peer group of 20 adolescent girls in their respective communities and facilitates 60 hours of leadership development training aimed at creating awareness around social issues in their respective communities. 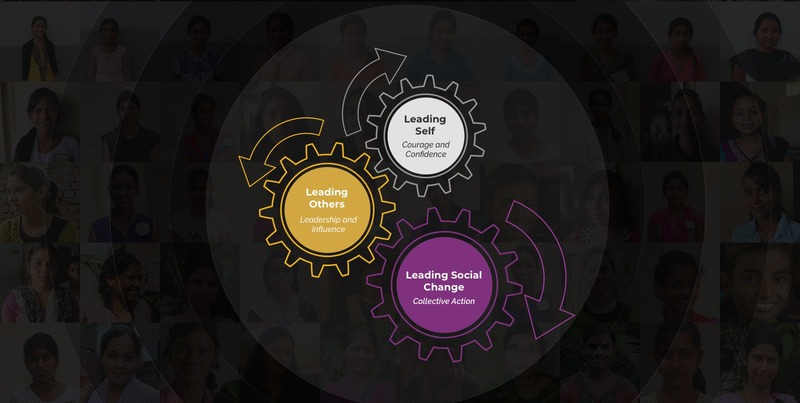 Our experiential leadership journey equips girls with requisite knowledge, skills and networks for being a leader to challenge the status quo, break barriers and create a more equitable society.